The Africa Research in Sustainable Intensification for the Next Generation (Africa RISING) program comprises three research for development projects supported by the United States Agency for International Development as part of the U.S. government’s Feed the Future initiative. 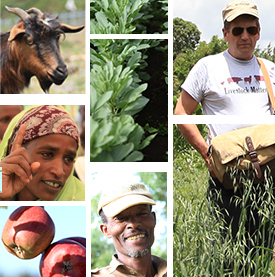 Our aim is to transform agricultural systems through sustainable intensification projects in three regions of Africa. Happy New Year 2011 Ethiopia! Africa RISING wishes you Happy Holidays and a Happy New Year! Can improved food legume varieties increase technical efficiency in crop production in the Bale highlands, Ethiopia?